Slowly but surely we will cover all of Mr,Chan's movies on K.I.T.G. .Now it may see strange that the first Police Story film i cover is the most up to date one ,of course the reason for this is I'm writing this in September 2010 which is Andy On month on site and as Andy played a pivotal role in the film ,that is the reason.But rest assured the other films in the series will get the same treatment in good time. 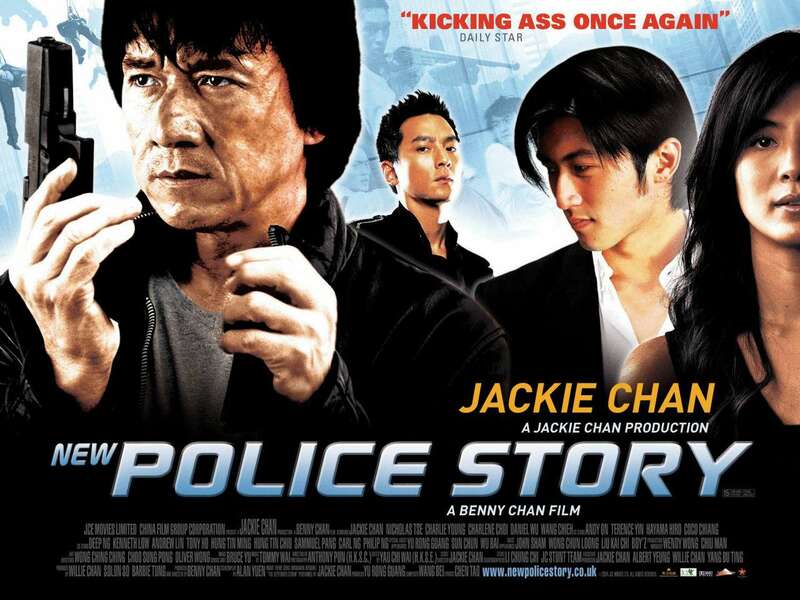 With New Police Story Jackie took a new approach to the story ,instead of reprising the role of Kevin Chan or Ka Kui as known in some versions,Jackie as he was older and more experienced in film making at this point wanted to pay tribute to the earlier films ,but at the same time add a more intense sense of drama to the project. Shot in 2004 the film came after Jackie had had enough of American film making and returned to his roots to prove he could still deliver the goods for his Asian market .The film would be directed by Benny Chan who previously had directed Jackie in 'Who Am I'. 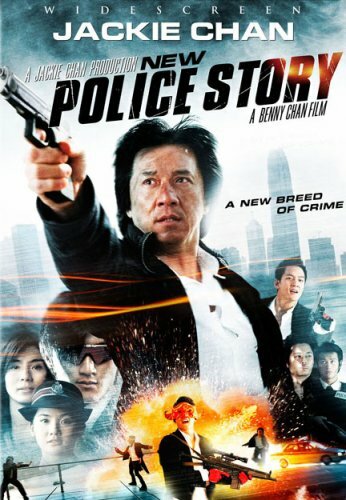 New Police Story starts with Inspector Chan Kwok-Wing being drunk and generally out of control in a bar in Hong Kong,upon leaving we see him stumble about ,get left behind by a Taxi driver who does not want him in his cab ,he then gets robbed and kicked then ends up intoxicated to drunk to walk anywhere and collapse in a alley. He is saved by a young man who retrieves his wallet and helps him,from here the story moves back one year and we see Chan come to the aid of a hostage situation ,by disguising himself as a reporter he confronts the kidnapper and fights to save the hostages life and as a result gets shot ,but luckily due to wearing two bullet proof vests is OK .
A short time after we see a group of robbers in the proces of robbing a bank ,they have kidnapped a worker and sent him vcrashing through the window by swinging him from the rooftop of the banks building,closely followed by our assailants.But upon robbing the bank they get there captive to call the Police ,and when they arrive the Police are confronted by a group of robbers with a arsenal of weapons who want nothing more then to kill the Police. The case is given to Inspector Chan ,who along with his team vow to get the Gang within three hours.Now earlier in the first gun battle with the robbers a couple of the Police come face to face with one of the robbers ,one gets shot while the other manages to reveal the face of one (a girl) who has dropped her stash and gone back to get it.In the scuffle and with help from her fellow ganag mebers get away but without the stash. The inured Police officer is a friend of Inspector Chan ,his name Sam (Dave Wong).Chan visits him in hospital prior to going on the mission to catch the thieves.Sam tells Chan to be careful,Chan replies 'No worries. So the theives hide out is a big warehouse on many levels ,Inspector Chan arrives with his team,a group of nine other officers who spilt in to two teams to infiltrate the building.But upon entering all is not what it seems and when radio communication is lost between teams and our couragous cops enter what like is a assault course with traps they know somethings up. The crroks have been waiting for them and now have the police playing in to their hands for their fun and games.One by one the team get beaten shot and injured until only Chan is left ,he makes his way to a central location only to find his team Hung up like meat in a freezer ,though still alive they are badly injured .Now the crooks arrive to finish their game ,they challenge Chan to a series of games.The prize if he wins is the life of his men.But one by one Chan is losing and one by one his men are being dropped to their death. In the end he barely manages to save one ( his future brother in law) only to have him die by smashing his head on to a concrete step as the young man passes out while Chan is trying helplessly gather his lost souls.Chan then notices the building is rigged to blow and the clock is ticking ,in a rush to get his men out while the building explodes around him our helpless inspector fails to save any of his team. Now we shoot back to the present day ,Inspector Chan is on a years leave after the incident .He wakes up in his apartment ,and finds a young man hovering ,he souts ''who are you ,what are you doing'' the young man replies i'm PC1667 ( Nicholas Tse) sir i am your new partner ,and that he has been reassigned the case . After some coxing ,he Chan believes him ,also PC1667 trys to get Chan back together with his girlfriend who was also the sister of one of Chans unit who got killed.Now while out the two come across a couple of robbers who have just mugged some one(the same two that attacked Chan before) With a bit of encouragement from PC1667 they arrest the two and go to the station. Getting Chan back to the Police station ,he slumbers in his office ,when Commander Chiu walks in with his men and ridicules Chan .Telling them this is the man that led his team to death.In steps PC1667 to say that Chan has been assigned the case ,Chiu is not convinced ,Chan just wants to go home but PC1667 insists Chan can complete the case and Chiu agrees for a wager that the loser shall Kowtow ,then Chan replies No the Loser will resign and Chiu happily agrees. Of course Chan does not care he has no reason to continue as he feels to sorry for himself.But PC1667 insists he should get revenge as the criminals have made his incident in to a video game.Chan shouts 'why are you so insistent to get me back on the case ,as Chan walks away PC1667 replies I'm Kwoks brother Frank (kwok a member of Chan's unit that got killed) . So now the seed is set,Frank and Chan visit Sam the Cop who got injured ,he's now out of the force and runs a bar which has links with the triads.They visit Sam ,but actually getting to see him takes some doing as they try and chuck them out ,a fight ensues and Frank ends up fighting them all while Chan tries and gets his courage together while locking himself in a cupboard.But seeing Frank get beaten he bursts in to flight . After a brilliant array of Chan Foolery as they use the surroundings to fight the goons.Eventually Sam appears and the guys talk,Sam gives a Watch to Chan which is a clue to the crooks .Through the watch which is a XGAMERS watch they trace the possible whereabouts of the gang ,but also Commander Chiu hs been watching and confronts Sam as well. Arriving at a Xgames convention which takes place on a rooftop of a large building they scout around ,and as they do Chiu arrives with Sam in tow .Chiu gets Sam looking to identify the Girl if she's there.But when it looks like alls going to plan the gang strike shooting Sam down ,amidst the gunfire the crooks run around as Chiu's men try and corner them.Chan rushes to Sam's side ,as he lay dieing he reveals he stole there money and they found out,he gave up Chan's plan to arrest them .Chiu looks on in disbelief. With Sam dead ,Chan wants to get his man and in a feat which funny enough is on par with tthe rooftop drop Jackie does in 'Who Am I' as the crooks absail down the vertical drop of the building with Chan and Frank in pursuit. The chase goes through the streets of Hong Kong and showcases a host of top line stunts that shows Jackie still has it ,some pay tribute to the former films in the series while others are new.I won't spoil this for anyone that's not seen the film ,but just to say it's about 10 minutes of pure Jackie magic. Chan has been trying to pursue Joe and led on a goose chase ,which leads him back to the station .Chan comes face to face with Ho Yee and the Bomb ,now he must try and save her .Getting her to the safe room with the help of Frank ,they try and diffuse the bomb ,but when Chan is not looking Ho Yee cuts the wires ,but all is fine ,that till the secondrary trip is triggered and everyone runs for their lives . A huge explosion brings havoc to the station ,Ho Yee is injured and Hospitalized.Things look bad for our inspector Chan. 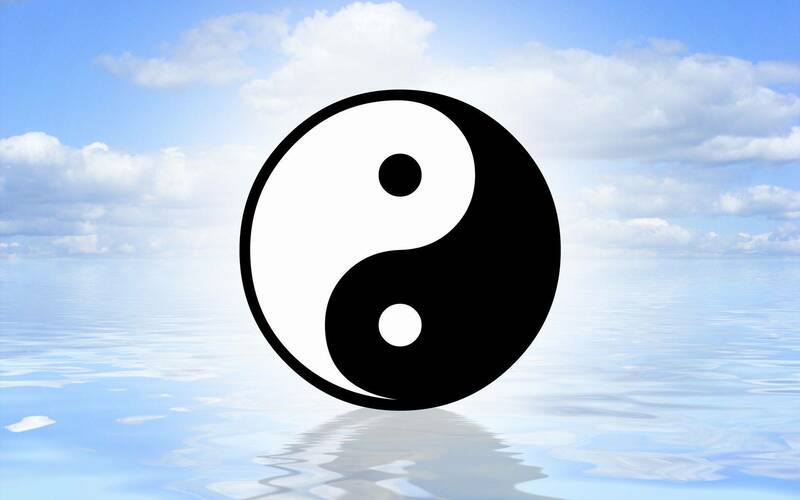 Now with the destruction caused Cahn and Frank are repremanded ,but whats worse is that Frank is not a Policeman and Chan is accused of helping a impostor .Thrown in Jail the two are helped by a female PC called SASA ,who has been helping Frank with the case. Escaping the station the two sneak out with some help from fellow officers. Knowing that the criminals will strike again they need to crack the game to find which target is next ,with the help of Sasa they try and reveal the next target ,her friends complete the next level of the game to reveal the next target ,a high profile bank in the main commercial district ,with lots of people about Chan and Frank have got to be careful,Sasa has to try and keep the Police away as the criminals enjoy shooting cops for fun. It's here the final confrontation will be decided ,as the gang grab the money they see that trouble is brewing ,Chan and Frank enter and clear the building of pedestrians.Things take a turn when the boys parents arrive and one of the crooks tries to get out ,Joe stops him dead by shooting him ,this starts a gun battle and when they spot Chan they know it's time to settle this. While Joe shoots anything that moves Chan and Frank try and pursue but as they try and get away ,Chan pursues Tin Tin and they end up in Lego Land ,convincing Tin Tin to fight like before the two confront each-other in a battle of fists and feet ,this is great as once again we are treated to Jackie and Andy On showing some dynamic martial arts.All comes to a end when in running comes Frank chased by Joe with is Rifle shooting everywhere ,in the crossfire Tin Tin gets shot ,and Chan calls for help. A nice touch is as Chan exits Lego Land he puts the head back on Mr Lego .Chasing Joe to the rooftop where he has Frank hostage. Chan has to play Joe's Game again but this time the pressures on Joe.Surrounded by Police and his father who just happens to be a Police Officer ,and one that abused Joe as a kid. The pressures to much as Joe loses the game ,he empties the gun but raises it pointing it at the police ,knowing full well they will shoot him down.Joe may be dead but now Frank is falling to his death and Chan must save him .In another superb stunt the dynamic Duo survive . Back at the hospital Ho Yee is Released and the truth behind Frank is revealed ,but i will let you find that one out for yourself.The credits role and once again Jackie Chan along with Benny Chan have made a magnificent film that showcases Jackie's talents.But not only that the film once again shows the powerful acting of Daniel Wu (Joe) who was suposed to fight Jackie at the end but got injured earlier and could not do the fight.But then we got to see Andy On (Tin Tin) perform once again and in a way I'm glad he got the chance as he is a awesome fighter. Nicholas Tse (Frank) showed again that he's at the top of his game and a joy to watch.And along with the rest of the cast of so many well known stars New Police Story is a fine tribute to the earlier films.